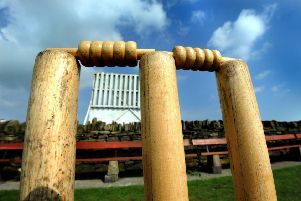 The Mighty Acorns are now 50 points adrift of leaders Shotley Bridge whom they meet at The Spa on Saturday. 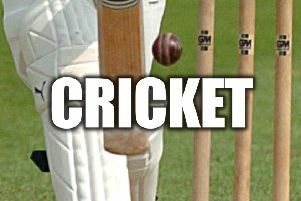 The Colliers’ defeat at Langwell Crescent saw them drop to third in the table with Swalwell leapfrogging them after their win against Stocksfield. Ashington had Lanchester on the back foot at 97-5 in the 35th over but the visitors dug in and reached 200 by the close. Ben Harmison made the early inroads, bowling opener Ciaran Johnson and Graham Brinton, and when Stephen Boyd removed Jonathan Green, who had scored 24 out of a total of 32, via a catch behind the stumps by wicketkeeper Dan Grant, it was all going so well for the Colliers. Ian Sharkey and Matty Collins also struck to send back Greg Halliday (19) and Sam Crooks (35) respectively, but knocks from Daniel Storey (46), Kieron Taylor (17), Bryan Potts (12) and Callum Barnes (24 not out) steered Lanchester to 200 after their allotted 50 overs. Ashington then turned in an abysmal batting performance and were shot out for 112. Grant and Jack McCarthy went cheaply and after a brief rally from Jack Jessop (21) and Ben O’Brien, the former who then clipped a delivery from Taylor straight down Green’s throat at mid wicket, things turned sour. Sean McCafferty and skipper Harmison fell in the same over and when O’Brien was trapped lbw for 20, the Colliers had crashed to 59-6 inside 21 overs. James Harmison (17) and Stephen Boyd (16) added 30 but the slide continued with Paul Rutherford last man out from the final ball of the 39th over.